Mellad Abeid is an accomplished and versatile guitarist with over fifteen years of music industry experience. He began performing with church choirs and at Irish dancing shows at the age of 17. In 2002, Mellad graduated from Gonzaga University with a BA in Music Composition. 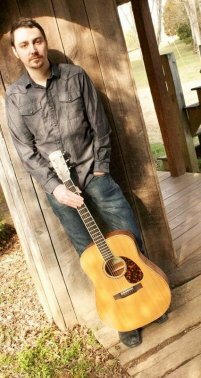 Since then, he has worked as an adjunct guitar instructor at Gonzaga University and Eastern Washington University and a private guitar instructor at St. George's School and Colville High School. Mellad is a patient yet highly skilled instructor who is well-versed in a variety of musical genres, including Classical, Jazz, Blues, Rock, Commercial, Country, Celtic and Broadway. As an international guitar performer, songwriter and record producer, Mellad is a dynamic instructor who brings a wealth of real-world expertise to the classroom. In 2003 Mellad founded pop-based Irish group An Dóchas. He serves as the band leader, writer and arranger. The band has released two critically acclaimed albums including Independent Celtic Album of the Year awarded at the 2006 JPF Awards in Hollywood, CA. As a member of An Dóchas, Mellad also began working with Irish tenor Michael Londra, formerly of Riverdance Broadway. Mellad and Londra collaborated to create the Irish music and dance show Celtic Fire, which continues to tour extensively throughout North America and was featured on the Emmy-nominated PBS special Beyond Celtic in 2011. For the past several years, Mellad has been fortunate to write and arrange songs for several independent vocal artists. Most recently, Mellad has been writing and performing with Country artist Nicole Lewis and co-produced her 2013 Nashville-based full-length album My Kind of Paradise. When not on tour or teaching, Mellad enjoys playing guitar for local Jazz ensembles, Spokane Jazz Orchestra, Spokane and Coeur d'Alene Symphonies as well as the live theatre circuit. 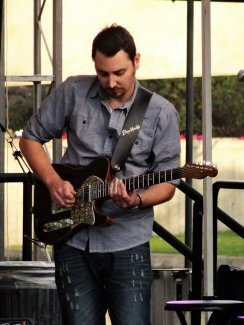 Mellad has worked as a guitarist at Spokane Civic Theatre for the past 6 seasons and Coeur d'Alene Summer Theatre for the past 7 seasons.